← Who cares about SoMa’s Youth and Family Zone? The bar located at 1225 Folsom Street, currently known as Kok, is in escrow to a pair of Mission District bar owners who intend to reopen the historic leather bar under the name Driftwood. Originally opened in 1968 as the Ramrod, the bar was a defining part of the Folsom Street “Miracle Mile,” which stretched from the Tool Box at 339 4th Street to Folsom Prison at 1898 Folsom Street. At its peak, the Miracle Mile included nearly 30 different gay bars, clubs and leather-oriented businesses, most within walking distance of each other. According to the “foodie” web site Grub Street, “a tipster pointed us yesterday to the fact that some new owners are moving in with a new name and concept, called Driftwood, which seems to signal a shift away from chain link and jock straps.” The bar has already endured a brief incarnation as a trendy cocktail lounge known as Cip. David Morgan, a former Lone Star bartender and founder of the leather-oriented “Men in Gear” circuit party and his business partner Steve Abramson, bought the bar in 2008 and opened it as Chaps II, in memory of the original leather bar which stood where the DNA Lounge now sits. After several lean years they remodeled and rebranded the place as Kok but it never managed to compete successfully with the existing cluster of gay bars in the blocks just to the west of their location. 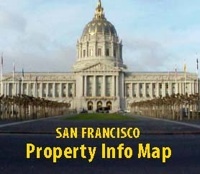 In the meantime, according to the Bay Area Reporter, a complaint was filed in San Francisco Superior Court on January 16 by Colleen Meharry of Urban Group Real Estate, claiming that the new owners of the SF Eagle, Mike Leon and Alex Montiel, owe her thousands of dollars for consulting services.